What would Liga MX look like using expected goals metric? Monterrey are the last unbeaten side standing in Liga MX, Los Rayados boasting a record of six wins, zero defeats and three draws. MEXICO CITY -- CONCACAF Champions League fever is upon us. With the notable exception of Panama's Independiente facing off against Sporting Kansas City, the business end of the competition has given us three direct matchups between Liga MX and MLS teams for fans to enjoy. Uruguay international Jonathan Rodriguez should be a huge addition for a Cruz Azul side that came up just short last campaign. GUADALAJARA, Mexico -- It's been a very different kind of transfer window in Liga MX this winter. The old "draft" -- a meet-up of club owners to thrash out deals and register players -- didn't take place and was replaced by a more conventional transfer period. The domestic transfer window closed on Dec. 28, after being open for 12 days following the Apertura final, although the opportunity to sign players from outside of Mexico will be open until Jan. 31. Oribe Peralta and America are playoff-bound but the side have only won once in the last month, so is winning out that realistic? This is a translation of an article that originally appeared on ESPN Deportes. The Apertura 2018 Liguilla, or regular season, is now over after 17 weeks of matches for each of the teams in the Liga Bancomer MX, and now that the quarterfinal matchups are set, Club America appears perched as the favorite to win the title for the winter semester. 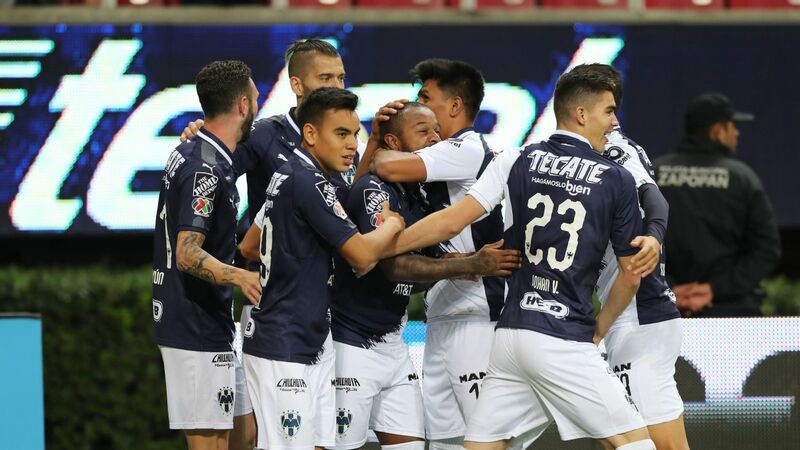 With the 2018-19 Liga MX Apertura just past the midway point, the race to solidify a playoff position is set to heat up. Just eight points separate first place Cruz Azul and 13th place Tijuana, so it is sure to be another sprint to the finish in Mexico. Here are three things our Liga MX correspondents are watching for from the league this weekend. Toronto edged out Tigres last year in an epic two-legged tie, but can they beat the Mexican champs in the Campeones Cup? There's nothing that quite gets the juices flowing for soccer fans in North America than a good ol' battle between MLS and Liga MX. For MLS, it is the never-ending search for respect and acceptance from their Liga MX counterparts, who have reigned supreme in the CONCACAF region at club level for pretty much forever.